Heat waffle maker. 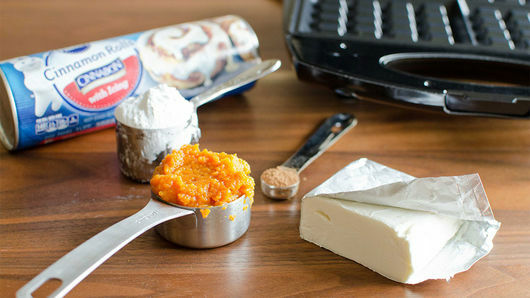 Meanwhile, in medium bowl, mix 1/4 cup canned pumpkin (not pumpkin pie mix), 4 oz cream cheese, softened, 1/4 cup powdered sugar and 1/2 teaspoon pumpkin pie spice until smooth. Separate dough into 8 rolls. Use your fingers to slightly shape each roll into a small bowl shape, with the cinnamon-sugar side faced down. Place about 1 tablespoon of filling into each bowl. Top with the remaining four rolls with cinnamon-sugar side facing up. Pinch sides shut. 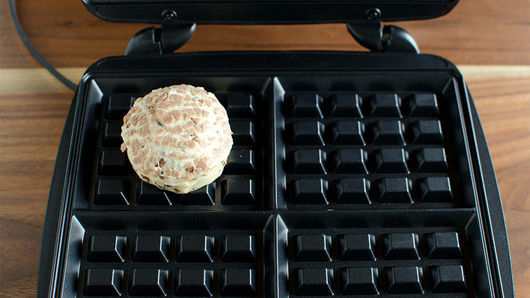 Place the four stuffed rolls on waffle maker. Close cover; bake about 3 minutes or until golden. Remove from waffle maker; drizzle with icing. Serve hot. 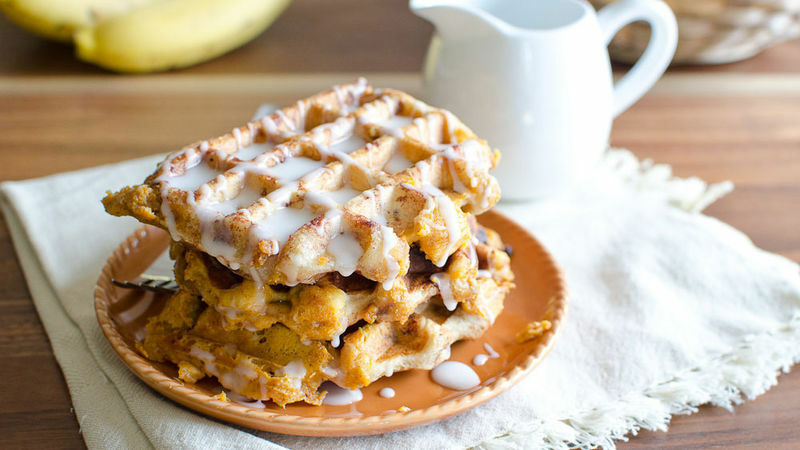 Use any remaining pumpkin mixture to spread over your cooked waffles with the icing. All waffle makers are different and vary in cooking times. Watch yours closely, and check after 3 minutes to avoid burning.